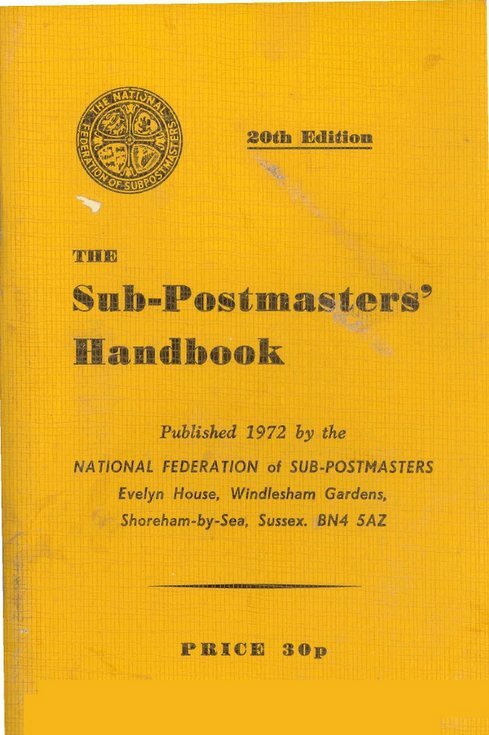 The Sub-Postmasters' Handbook 20th edition, published in 1972 by the National Federation of Sub-Postmasters. 108 pages stapled in yellow card covers. This was in the old Dornoch post office while it was used as a tourist and admin. office by the Highlands of Scotland Tourist Board.